A great addition to a big breakfast. Also great for making your own vegetarian sausage rolls. Contains wheat gluten and soya. May contain traces of nut. Whole wheat flour (gluten), palm oil, textured soya protein (21%), thickener: methylcellulose; maltodextrin; seasoning (sugar, potato starch, yeast extract, rapeseed oil, herb & spice extracts), hydrolysed maize protein), salt, onion powder, raising agent: ammonium carbonate; sage, thyme, pepper & beetroot juice powder. 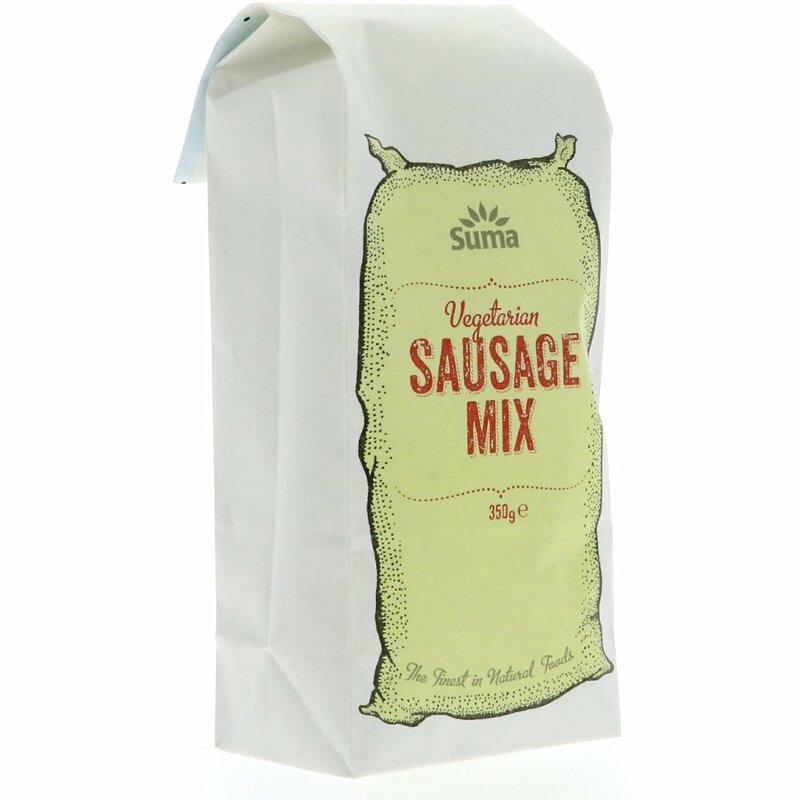 Thoroughly mix 250g of Sausage Mix with 450ml of cold water. Leave to stand for 5 minutes, form into sausages and shallow fry until golden brown. Try adding chopped vegetables, herbs and spices for a variety of alternative flavours. Makes approximately 8 sausages. 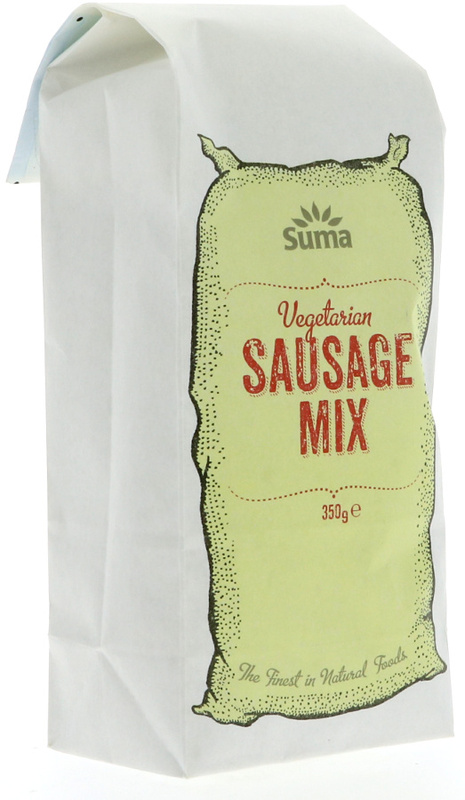 The Suma Prepacks Vegetarian Sausage Mix - 350g product ethics are indicated below. To learn more about these product ethics and to see related products, follow the links below. Family favourite also lends itself to adding in any leftover roasted veg. Tasty! A: Hi there, Many thanks for your query. Yes, the palm oil is from sustainable sources. I hope this helps. Q: Where is the soya in this product sourced from and is it organic?